Investigate the secret worlds of complex creatures like ants, ladybirds and native Aussie bees. 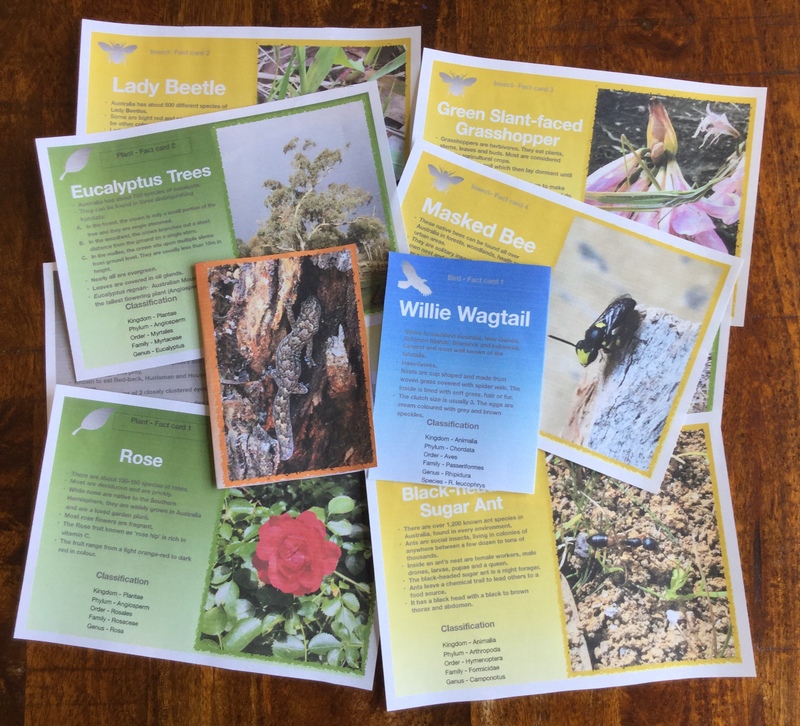 Capture grasshoppers, explore our native grasses and eucalyptus trees. Watch Willy Wag-tail’s antics, spy on geckos and observe Daddy Long-leg spiders. 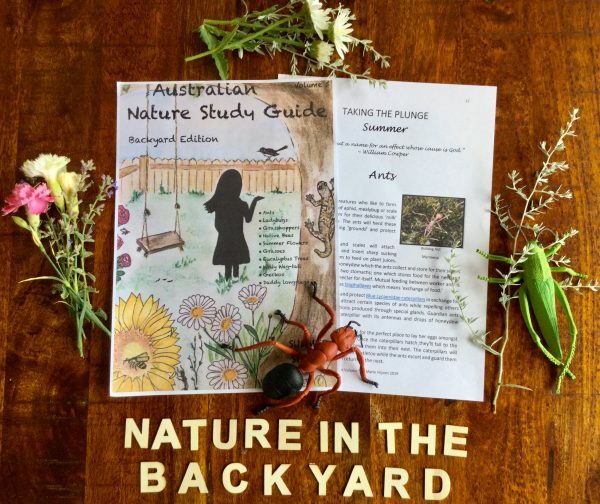 The Australian Nature Study Guide is a Charlotte Mason based program designed to encourage nature exploration through the seasons. 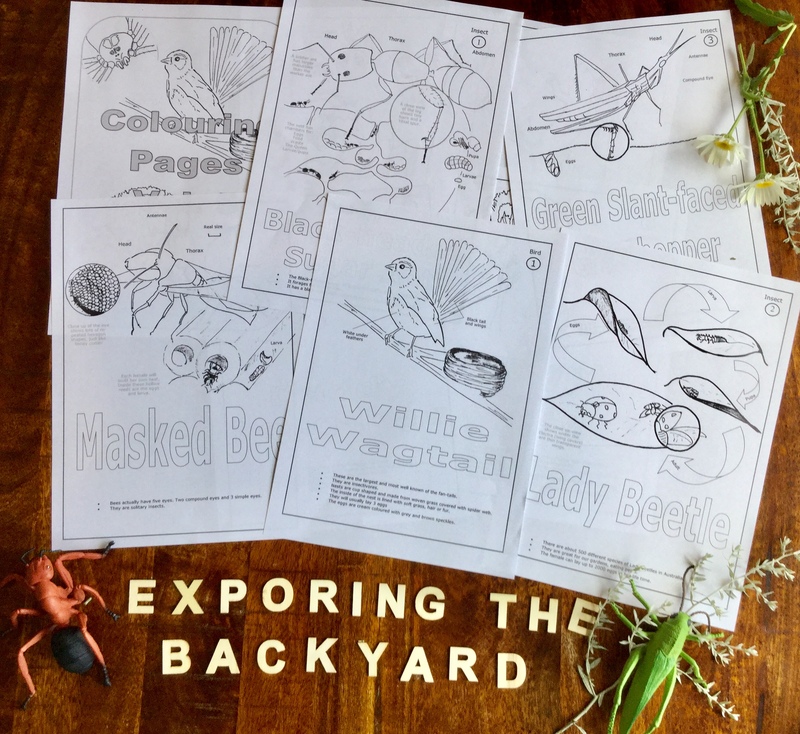 The guide includes poems, picture studies, activities and read aloud story suggestions.The Backyard Edition will inspire children to OBSERVE, EXPLORE, DRAW, PAINT, RESEARCH, WRITE, READ, CREATE, ADVENTURE, DISCOVER, COMPARE, DISCUSS, EXPLAIN and take NOTES. Come along! Walk with me. Nature Study can be immersed in all home education styles and classrooms? Nature Study covers the sciences of all elementary and some secondary topics? Nature Study integrates most of the school subjects? 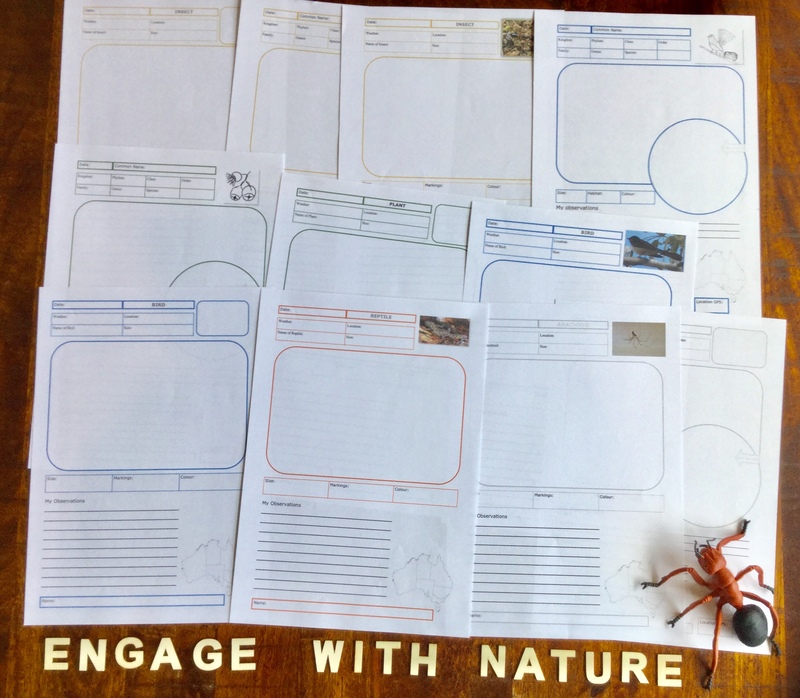 Nature Study is family orientated and inspires children to explore the outdoors? 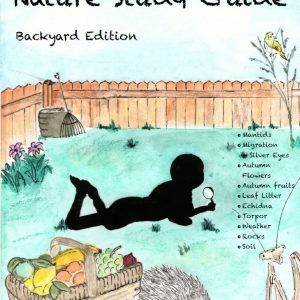 a whole chapter on how to use the Guide and study nature. a list of additional nature study activities. 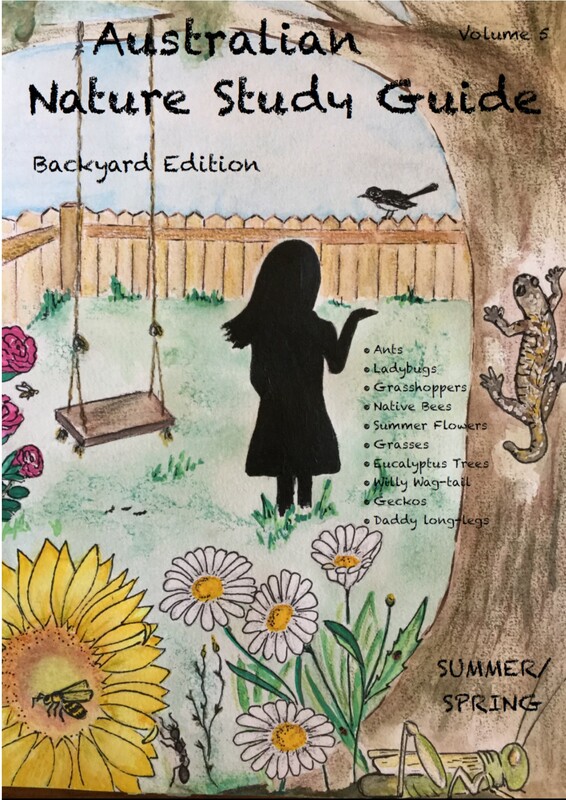 A seasonal guide focusing on Summer and Autumn topics in your backyard. Self-contained and ready to use. Additional resources are suggested should you choose to dig deeper into a subject but they’re not necessary. Dip your feet in or dive in. The choice is yours! An integration of subjects to save your sanity and time. An activity based program for multiple ages – Kinda to 15 yrs. Flexible. The Guide can be altered to suite all home educating approaches and styles. Adaptable. The themes within the weekly studies can be altered to suit your climate and locality. 75 Pages, digital curriculum in PDF format. Start out by reading information on the weeks nature theme in order to arm yourself with the knowledge you’ll need to answer the questions fired at you during the nature rambles or let the children read it for themselves. Explore the outdoors on a ramble while focusing on the weeks topic by noticing, wondering and making natural connections. Explore further with suggested resource books from the library and related internet links provided for your convenience. Immerse the children in the study with interesting facts and videos. 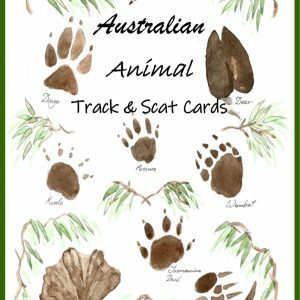 Choose a nature themed story from the list to read aloud to your children. Set up a Poetry Tea Time and read the nature themed poem. Children are guaranteed to enjoy poetry when snacks are offered. A piece of art that relates to the weeks theme is included to study the Charlotte Mason way. On occasion a related song has been included for the children’s enjoyment. Dig deeper with optional activities for kinda, intermediate and advanced students. The activities cover a range of subjects like research, writing, natural science, field journaling, history, physical education, technology, home economics and the arts and crafts. Consider the ways of nature; the work of insects, the perseverance of plant life and the faith and contentedness of birds in an effort to learn how we can build character qualities to honour God and bless others. Proverbs 6:6-6 encourages us to, “Go to the ant, you sluggard; consider its ways and be wise.” As we observe creation, we’ll notice how God has wired each creature with instinct and initiative. We’ll ponder its ways and become wise as we strive to build similar character qualities within ourselves that’ll sustain us through life.